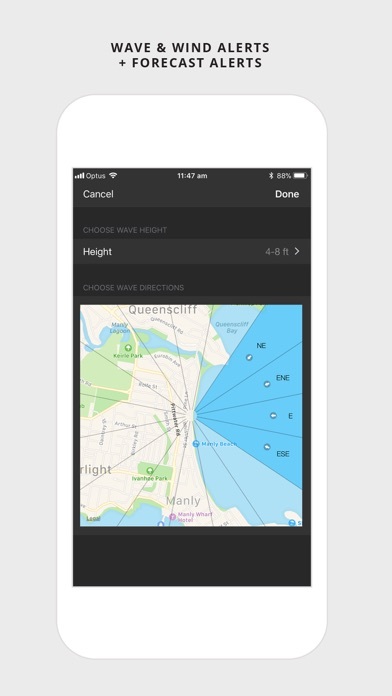 Download Coastalwatch Surf Check free via AppsHawk. 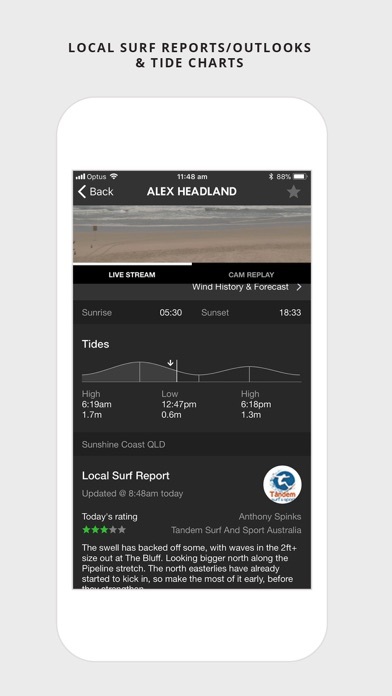 Check the surf anywhere anytime with Australia's largest network of live streaming Surf Cams, Daily Surf Reports & Surf Forecasts including Australia's most popular surf spots and beaches. 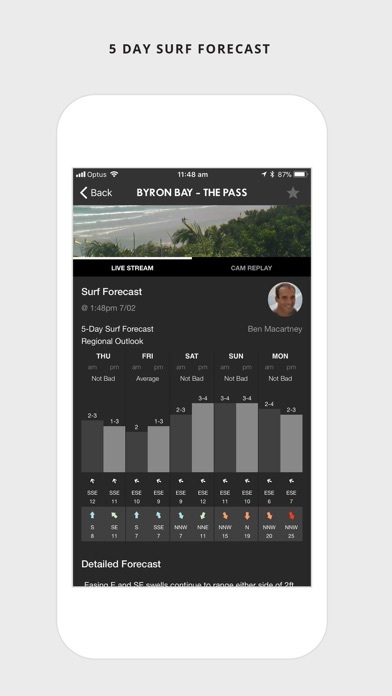 Purchase of a Live Access Pass subscription entitles the user to stream Live Vision on surf cameraâ€™s available within the app, to create personalised swell, wave & wind alerts and to access local surf forecast analysis & reports. 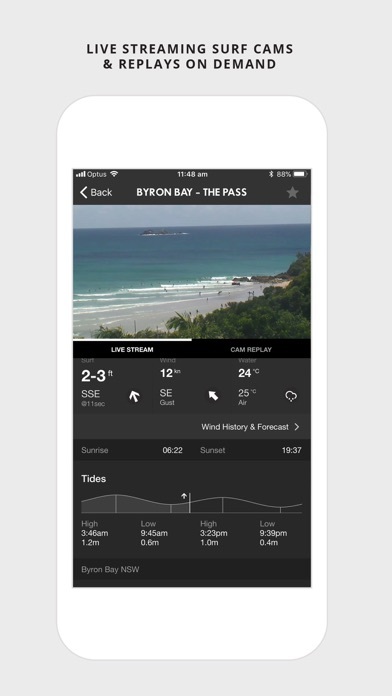 You may access these features, via a Live Access Pass, for a recurring subscription fee of $2.99AUD per month (30 days). Purchase of a Live Access Pass indicates your acceptance to be charged this amount every 30 days. 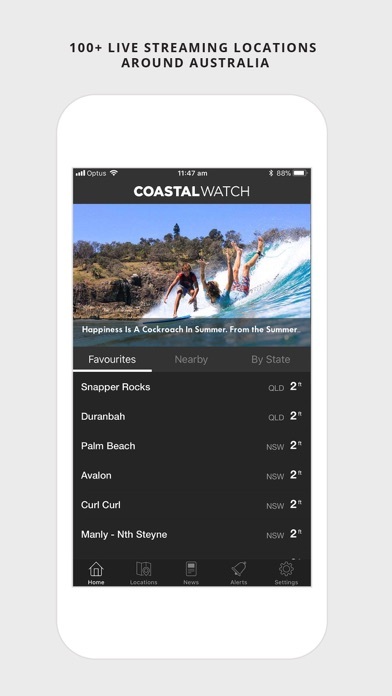 Coastalwatch will automatically charge the account linked to your iTunes account, unless otherwise notified by you to cancel. Payment will be charged to iTunes Account at confirmation of purchase. 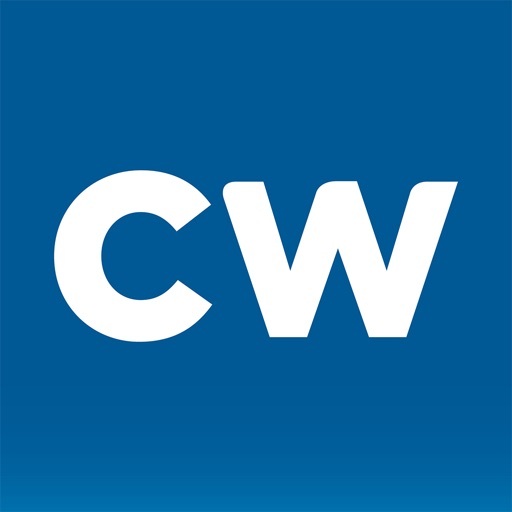 Subscription automatically renews unless auto-renew is turned off at least 24-hours before the end of the current period. Your account will be charged for renewal within 24-hours prior to the end of the current period, and identify the cost of the renewal. Any unused portion of a free trial period, if offered, will be forfeited when the user purchases a subscription to that publication, where applicable.